Ideal for windy areas. The 11-gauge steel skin is perforated with 1/4" (6mm) holes in a pattern to form border and target. 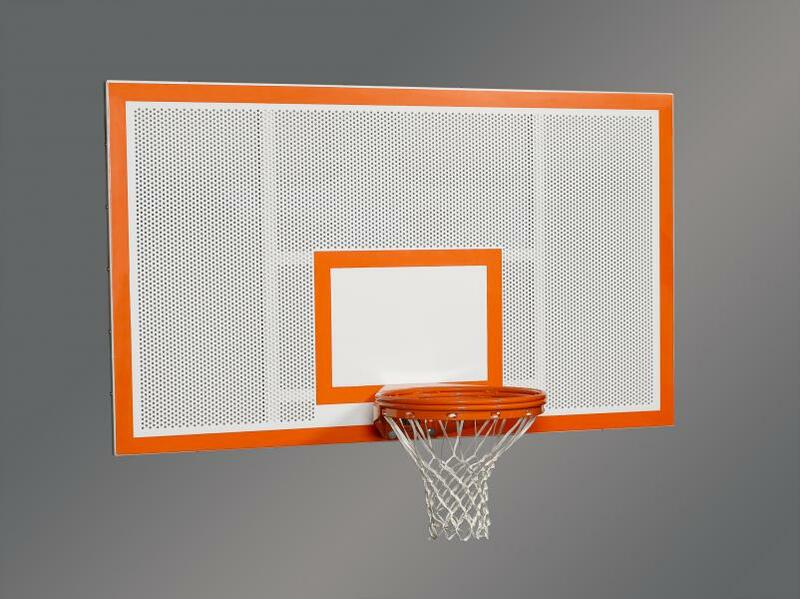 Backboard includes a tubular sub-frame for added strength. Not for use with 3-1/2" (89mm) O.D. or 4-1/2" (114mm) O.D. posts. Outdoor use only.